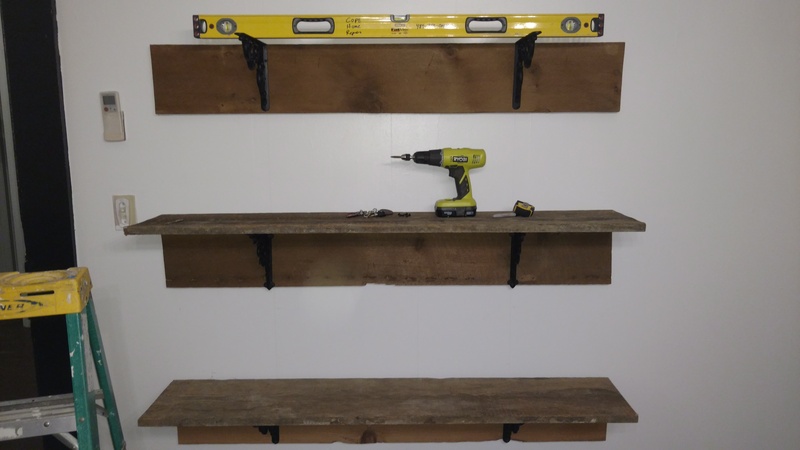 A client who's opening her own shop has picked out some nice reclaimed barn wood for use as shelves in her shop. The brackets are black cast Iron, so she wanted black screws to match. 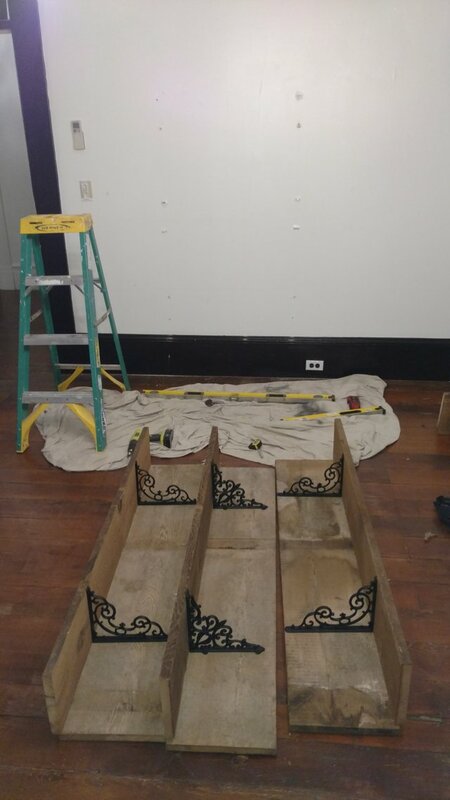 No problem, I used 2" black drywall screws to anchor it into the studs. 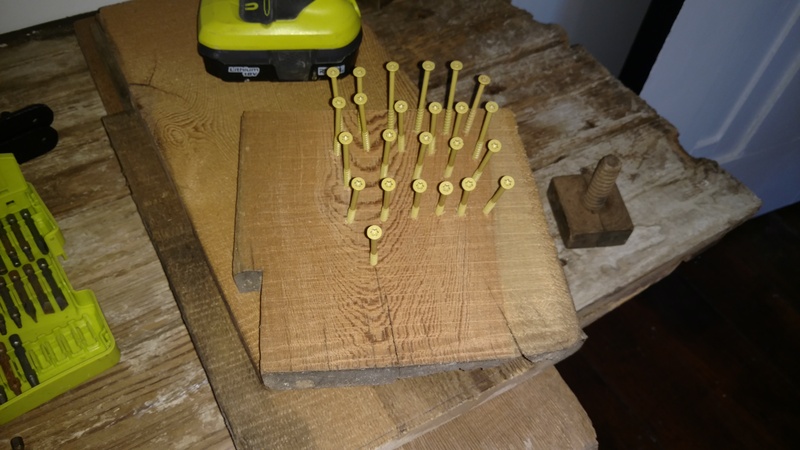 With a runner made of white pine so that all the weight of the shelving and various odds and ends that would end up on them would be supported securely. The walls are plaster, and it was thicker than I expected. I miscalculated. Last night at 8:15pm, it looked like this. I'm glad I did a weight test. It's better they fall now than when the store is open. I wish I had done the weight test on the bottom shelf however. I've plastered the holes, and am waiting for that to cure now. 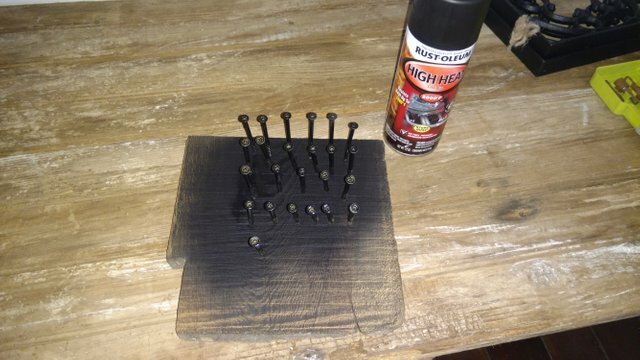 I'll be using 3" deck screws this time though, that I've spray painted black. Things go wrong sometimes. The most important thing is to not panic and figure out the best way to move forward. This client did exactly that, and just asked what solutions were available. The screw up means I'm donating some of my time (about three hours worth, maybe four) which would normally cost her $150-$200, and of which I would see at most $50. A $50 loss is a cheap price to pay in order to keep good relations with your clients.